Hope Christian College recognises that providing VET options may assist students to complete their SACE while investigating career pathways. We understand that every student has different talents, aspirations and goals for the future. 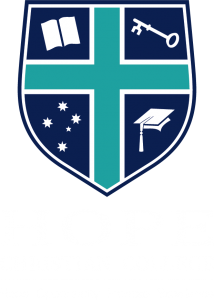 Hope Christian College is committed to working with individual students and their families to assist them in developing their talents and achieving their goals. VET courses can be undertaken by students as part of their secondary studies. Completion of competencies by the student provides credit towards a recognised VET qualification. There are many areas to choose from: automotive, hair & beauty, community services, construction, hospitality, business, horticulture, health services, engineering, fitness, animal studies, construction, early childhood education, electrotechnology, pre-plumbing, etc. At Hope Christian College students in Year 11 and 12 may undertake a VET course instead of one of the school subjects offered. Year 10 students may commence a VET course in Semester 2. Students are required to achieve passing grades in the compulsory subjects of PLP, Maths, English, and Research Project to commence or continue a VET course. Universities may accept a completed Certificate III as a Stage 2 subject for university entrance to count towards an ATAR. As a VET course may require a student to be off campus, the student may miss lessons from the school subjects they are studying. Consequently, the student must have good organisational and time management skills and must be able to provide evidence of these skills to be considered for a VET pathway. Certificate III in Christian Ministry and Theology (Vetamorphus) is offered in conjunction with Craigmore Christian Church, provided through the Australian Centre for Advanced Studies. To learn more about Vetamorphus, click here. Hope Christian College generously financially supports VET courses by offering reimbursement of course costs (max $1600) via reimbursement of College fees if the certificate is completed. If you have any questions about VET courses, please contact Mrs Fay Alford, Hope Christian College Pathways Coordinator.